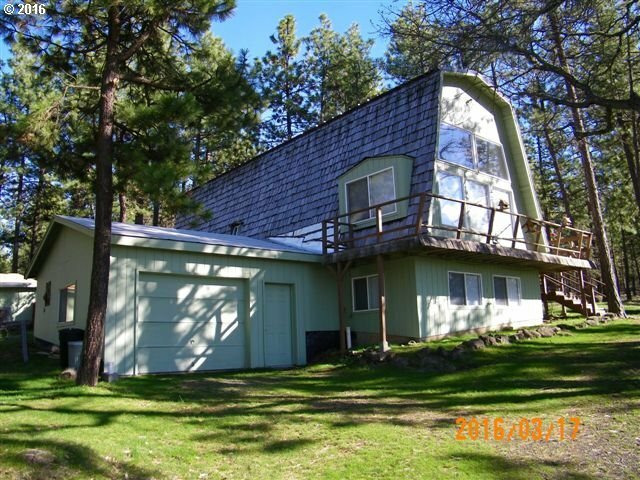 Your own private 3 bedroom 1.5 bath lodge WITH FURNISHINGS easily accessible in the close in desirable Rimrock neighborhood, nestled in the trees at the top of the hill with mtn views. One of the very few properties in this neighborhood that you can have a horse or other livestock. Extensively updated & groomed, new kitchen appliances. Cross fencing, adaptable outbldgs, attached garage, circular driveway, underground power/phone.